Within the dark dystopia a savage game is formed. 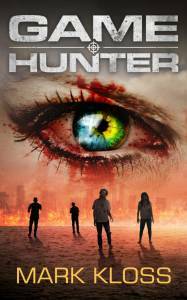 Amid continuing betrayal and easy death in the dystopia that is now the City of London, the live TV show called Game Hunter pits human against zombie. Tremayne and Red are half-turned teenage zombies. He has the unwanted ability to drain and feed life, she has the careless bravery of the condemned. 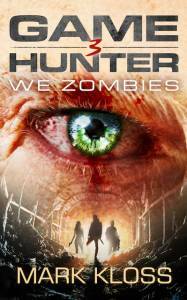 Together they are forced into the impossible task of saving their zombie cousins. Under the eyes of millions, they prepare to play the first of three shows against Game Hunter’s toughest killers until the siren sounds victory or death. The end result will determine much more than anyone can possibly know. This breathless trilogy truly turns zombie stories on their heads. The wail of the siren signals the first game has began. 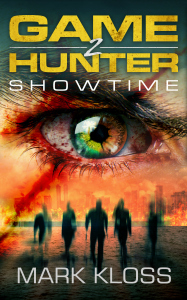 Under the eyes of millions watching the live TV show, Game Hunter, a siren finally starts the first of three deadly games pitting seven zombies against seven cold, professional game hunters within the dystopian City of London. Half-zombie teenagers, Tremayne, who unwantedly can take or feed life, and Red, a girl with careless bravery, have already killed to survive too many times before. Immediate betrayal and dangerous odds, mean they, and the rest of the team, are on the back foot from the start. The first to kill at least two opponents and locate five branded bars of gold, wins. Can help from an unexpected source, Red’s fearlessness and Tremayne’s strange abilities, get them through this disturbing game on which so much rests? The second book of this highly original and entertaining zombie series captures the brutality of Hunger Games with the added twist of half-zombies. With TV ratings high and the Game Hunter executives seething at losing the first show, the second game play is brought forward without the Elder half-zombies’ knowledge. Although dangerously unprepared, once more the teenage half-zombies, Tremayne, with his terrible ability to drain or feed life and Red, with her fearless determination, push aside their growing romantic attraction, and along with the other five brave half-zombies, take on seven top professional hunters. The opposition inexplicably keeps one step ahead. As death strikes, the half-zombies despair until unexpected help begins a change of fortune. Eventually Game Hunter is forced to use its final desperate card. Over the betrayals, through the sad deaths, and with the future of their many cousins at stake, will what’s left of the famous seven half-zombies still be able to win? Book three of this original humorous, romantic and action-packed zombie series brings Game Hunter to a breathless and dramatic completion.